Bilal Kayed, a 35-year-old Palestinian from Nablus was arrested in 2002 and sentenced to 14 and a half years. He had been placed in isolation in Rimon prison since September 2015 until his scheduled release. Bilal was set to be released on 13 June 2016 after completing his sentence. However, a 6-month administrative detention order was issued against him on the same day, immediately after which he was placed back in isolation. Mr. Kayed has been on hunger strike since 15 June 2016 in protest of his detention without charge or trial. The reason behind Mr. Kayed’s hunger strike is primarily administrative detention but also his continued isolation. Mr. Kayed reported to Addameer attorney Farah Bayadsi that he has exhausted all judicial remedies with regards to his isolation and administrative detention and that he will continue his hunger strike without any negotiations. Mr. Kayed’s main demand is to be immediately released. Mr. Kayed reported to Addameer attorney Farah Bayadsi that his current isolation conditions are poor. The size of the cell is 3 X 3 meters, including a toilet, shower, sink, and a window. All electric devices were confiscated and Mr. Kayed only has two pairs of pants, two shirts, and toothpaste (without a toothbrush) in his possession. Mr. Kayed’s health condition is deteriorating. He is losing weight, feeling dizziness, physical exhaustion and drowsiness, and suffers from redness in the eyes. He is only consuming water, without even salt supplements. Mr. Kayed has been subjected to disciplinary penalties by the Israeli Prison Service, including denial of canteen access, confiscation of newspapers and books, prohibition of fora (recreational time). The administrative detention of Bilal Kayed exemplifies the arbitrary nature of the policy as practiced by Israeli occupation forces. Administrative detention is based on a “secret file” and is often used to detain Palestinians in the absence of adequate evidence or charges against them. 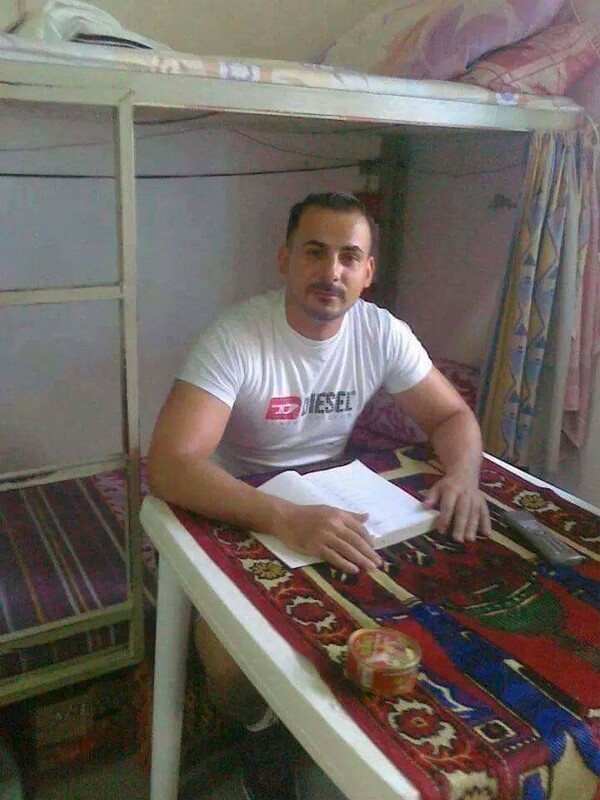 In the case of Bilal Kayed, who has served 14 and a half years in prison, the last several months of which have been under isolation, it is unlikely that Bilal Kayed’s release would pose a threat to the security of the occupying state. Mr. Kayed has had little contact with the outside world so the “secret file” on the grounds of which he is being detained is unlikely to contain information about any legitimate security concerns. Under international law, administrative detention is to be used as a preventative measure. However, in practice, as exemplified by the detention of Mr. Kayed, it has been used by Israeli forces as a punitive measure that targets various sectors of the Palestinian society – even after the detainee has served his or her sentence. Addameer condemns the administrative detention of Bilal Kayed, and considers it to be a form of arbitrary detention that may amount to psychological torture. Addameer also demands the immediate release of Mr. Kayed, who has already served his sentence and whose detention is evidently an arbitrary one. Addameer is further concerned about the health situation of Mr. Kayed, and recognizes hunger strike as a legitimate form of protest against arbitrary detention.